An endemic tree common in wet zone forests and village gardens. Seeds edible and wood use in construction industry. I love your blog, your style and vibe are great. check mine out and follow me back if you like! Fruit also edible.like jack fruit.it is delicious when ripe. Does the fruit taste different (when cooked) from the regular breadfruit, Artocarpus altilis? Hi Bhushana, know any place I can find seeds or a seedlings? Would love to grow one or two of these. 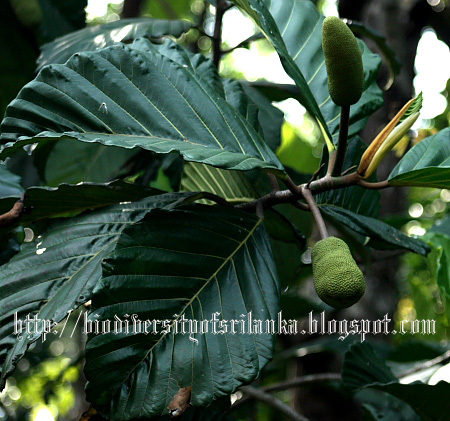 No idea from where can you find seeds, but tree is not uncommon and grows even in home gardens of wet zone close to forest habitats like Kitulgala, Labugama, Matugama etc.